What’s your hometown, and when did you join the Marines? Can you tell us a little about why you joined, what MOS you held, when you left the Marines and why? I was born in Manchester, Conn. I joined the Marines in 1984. My oldest brother was also a Marine, but he joined when I was just a one-year-old. My other brother was in the Army, and both are Vietnam Vets. I had no discipline in college, and did not like my major, so I dropped out. I had been working in a store for four years as a department manager when a female soldier came in. It peaked my interest so I started talking to recruiters, and the Marines were the best salesmen, or they would not take no for an answer. I wanted to grow up since I was the baby, and everyone still treated me that way even at 24. I wanted a new career, but it is hard to get one as a civilian without experience. The Marines would give me both. My MOS was 3043 – Supply Administration. I was medically discharged from the Corps in 1995. Staff Sgt. Debra Fales Branch poses with her son. I was actually pregnant twice while I was in. 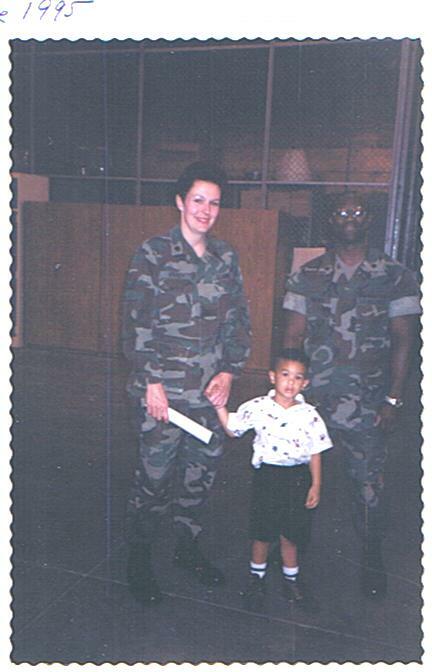 First time, I was a corporal at Kaneohe Bay, Hawaii, in 1989. I miscarried at 3 1/2 months. I did not know I was pregnant right away because I had false alarms before, so I kept running – once with my unit and once trying to see if I could run home to our apartment out in town, six miles. Both times, I had cramps, but did not think anything about it. Once I knew I was pregnant, then I went on light duty. So whether the miscarriage was from the running or something else, I will never know. The second time I was pregnant, I was a sergeant in 1991, and I was stationed at Camp Pendleton, Calif.
After my miscarriage, I was given one week of bed rest and then back to work at full duty. I realize now I should have been given some light duty once I went back to work to completely recover. I remember a male Marine being shocked to see me right back out running with the unit. 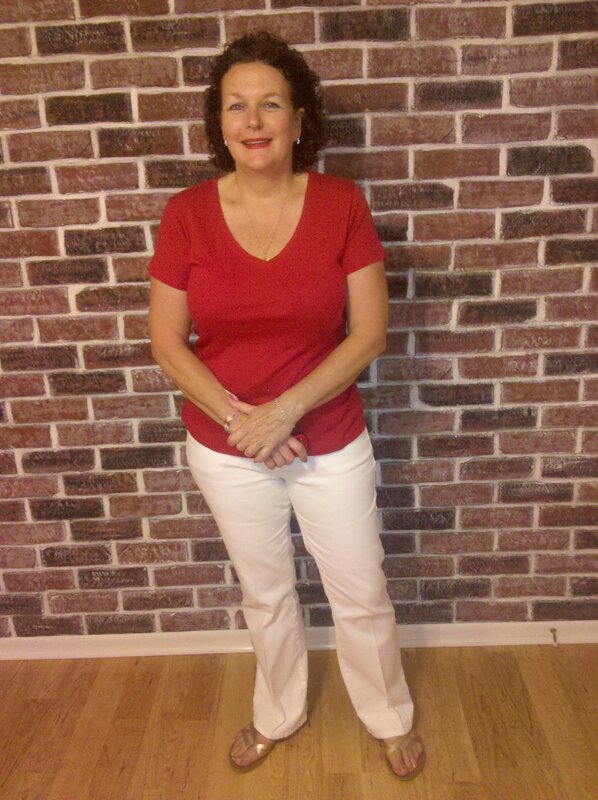 When I was pregnant the second time, I worked in a small office, with just a major, staff sergeant, corporal, and me. It was during the first Gulf War and we did TAD (temporary additional duty) for the Marines coming and going for a Marine Air Group. Of course the squadrons would have had more formations than our tiny office. In my experience, once you had a blood test to prove you were pregnant, they put you on light duty. I worked right through Thursday, November 21, 1991, and my son was born the next day. I did breastfeed, but only during my time off. It was partly due to having to return to work, but also because my son was a big eater, being born at 9 pounds. As a Marine mom, what were your greatest challenges during that era of being a “first Marine mom”? Do you feel moms today, Marines or civilians, have the same problems? Twenty-four-hour duty and not being able to see your baby. Finding a babysitter when I took my 6-month-old son to Okinawa, Japan. Daycare was mainly for families staying for three years and I had orders for one. Working moms—civilian or military—all have issues and challenges. Military moms have to deal with getting orders to ship out to a war zone. After my divorce, a staff sergeant in the admin office threatened to put me out in 48 hours if I did not come up with an emergency plan for my son in case of deployment because he was friends with my ex-husband, who was also a Marine. Enjoy it! Make as many memories as you can as a Marine, woman and mom. See more, do more, accomplish more, and value myself more as a person. Get divorced in 1992, instead of 1994. LOL! I understand you’re in the mortgage business. As a former Marine, do you find certain skills you gained as a Marine helpful in your business? Can you share a little about this? Supply Admin usually goes hand in hand with fiscal or budget admin because the supply officer usually wears both hats. I had an amazing major, Major Williams, who made me his fiscal clerk. I found out I had a love for working with numbers and was good at it. It got my foot in the door at a bank to start my career in Mortgage Banking that is going on 15 years. My present bosses say they love my discipline and ability to follow orders. I am glad that my son and I are part of Marine history. He was born at Camp Pendleton, got to live in Okinawa for a year, and we drove cross-country to start our new life in Florida after I was discharged. I can tell my grandkids I drove a real hummer, shot a rifle, and tried to drive a tank. If I had not walked into a recruiting station to change my life, where would I be today? Thank you, Debbi, for your service, and for sharing your story. Hi Tracy — what a great blog! I hear every word of it and am so glad you’re writing it down. The USCG isn’t the USMC but honey they sure had the same command philosophies! I miscarried my first pregnancy during shipboard training in GTMO, in 1984 (I was an E-6). They put me ashore for the day and ordered me to ride the base bus to the dispensary, that blue medical record in tow. No light duty. No time off (other than the 24 they kept me in sick bay.) I thought I was going to bleed to death in the next seven days. Operational Commitments. And congratulations on the memoir in press! Oh my gosh, Anne! How in the world are you? So good to hear from you, and I’m thrilled and honored you’ve read through the blog. Aren’t these stories fascinating? Every woman has a little something to add to the legacy, and I’m so glad you’ve added your voice to our discussion. Hugs to you!